We’d love your help. Let us know what’s wrong with this preview of Songlines by Carolyn Denman. In the heart of the Wimmera region of Victoria, an ancient gateway to Eden is kept hidden and safe by a creature so powerful that even the moon would obey her commands – at least it would if she had any idea that she wasn’t just a normal girl about to finish high school. When a mining company begins exploratory sampling near Lainie’s sheep farm, a family secret is revealed that makes her regret not having learnt more about her Indigenous heritage. What she’s told by their farmhand, Harry – an Aboriginal elder – can’t possibly be true, but then the most irritating guy in class, Bane, begins to act even more insanely toward her than ever, until she can no longer deny that something very unusual is going on. To ask other readers questions about Songlines, please sign up. Anyone know how many books there will be in this series? Tadashi Hamada Four, according to the author. Now this one was a very interesting read! It is young adult yet still very readable for an older age audience. It is a fantasy but not of the usual kind. This one is part Biblical, part Aboriginal and therefore quite original. I really liked it. The author writes well and there are many beautiful descriptive passages . She also has a talent for characterisation and it is easy to like Noah and Bane and Lainey and to want good things to happen to them. I also enjoyed the humour in their interaction Now this one was a very interesting read! It is young adult yet still very readable for an older age audience. It is a fantasy but not of the usual kind. This one is part Biblical, part Aboriginal and therefore quite original. I really liked it. The author writes well and there are many beautiful descriptive passages . She also has a talent for characterisation and it is easy to like Noah and Bane and Lainey and to want good things to happen to them. I also enjoyed the humour in their interactions and conversations which was delivered with a very light touch and made me smile a lot and even occasionally laugh out loud. Lainie and her best friend Noah were in their final year of school, studying for exams and cramming for good results. They both wanted to go away to uni, either Melbourne or Sydney, the following year. Noah and Lainie had been best friends since childhood with their farms bordering each other; since Lainie’s parents had died when she was very small, it was just Aunt Lily and herself, along with farmhand Harry, an Aboriginal elder, caring for their farm. Bane (given name Ben) had been the bane of Lainie and her best friend Noah were in their final year of school, studying for exams and cramming for good results. They both wanted to go away to uni, either Melbourne or Sydney, the following year. Noah and Lainie had been best friends since childhood with their farms bordering each other; since Lainie’s parents had died when she was very small, it was just Aunt Lily and herself, along with farmhand Harry, an Aboriginal elder, caring for their farm. Bane (given name Ben) had been the bane of Lainie’s life through school – violent and bad-tempered, he seemed to have it in for Lainie, always tormenting her and driving her nuts. She had no idea what she’d done to cause him to dislike her so much, but she did her best to put it to one side. The news of a mining company starting exploratory digging for gas on the edge of Lainie’s farm had Aunt Lily furious. The Aboriginal caves and sacred sites in the area had to be protected at all costs – when Harry told Lainie of her role in this, she didn’t believe him. But as time moved forward, and Harry didn’t return from his quest, Lainie and Noah realised something strange was happening. Lainie needed to find out more about her heritage – but would this search put her in danger? Could she stop the miners from doing the damage they would do if they continued? Songlines by Aussie author Carolyn Denman is an enticing mix of paranormal, mystery and Indigenous heritage which I thoroughly enjoyed. Written for a Young Adult audience, nevertheless it’s highly readable for those of us who’ve long ago left the age of YA ;) Set in the rural countryside of Victoria, it is a well-written novel which is book #1 in The Sentinal of Eden series, and I’m very much looking forward to book #2. Highly recommended. With thanks to the author for my digital copy to read and review. This is a fun story full of cool ideas, a rural coming-of-age tale and paranormal romance with a uniquely Aussie twist. The setting is super authentic and the fantasy elements are portrayed with real vision. The ending escalates quickly. It’s very YA, which doesn’t seem to be my genre at all—heaps (that’s Australian for ‘a lot’) of melodrama, heaps of angst, heaps of confused inner monologue. Of course these probably aren’t criticisms that would deter an avid reader of YA fiction. I also found the story unfocused in places. I am no stranger when it comes to YA Fantasy so was curious to see what this story could bring to the table. While having some familiar tropes of the genres with plot and the whole goodies and baddies scenario, adds an Aussie bush setting with Biblical and Aboriginal folklore to create an engaging and unique read. Lainey does not know it, but she is about to have her life put on a whole new course. Instead of finishing up High School and planning her further education Lainey will find out she is I am no stranger when it comes to YA Fantasy so was curious to see what this story could bring to the table. While having some familiar tropes of the genres with plot and the whole goodies and baddies scenario, adds an Aussie bush setting with Biblical and Aboriginal folklore to create an engaging and unique read. Lainey does not know it, but she is about to have her life put on a whole new course. Instead of finishing up High School and planning her further education Lainey will find out she is not what she thinks she is as her home comes under threat from the modern world. Saving the land will become paramount when it is discovered that not only does it have (literally) paradise on Earth in it but also that this amazing place may accommodate someone very dear to Lainey. There is so much to like about this book. The young characters, led by the determined Lainey are all very likable, while the references to religion are subtle and not overbearing. The humour is also finely-drawn and complements the mood beautifully. The best thing I can say though despite being at its core Young Adult, the story would appeal to many other age brackets thanks to quality writing that makes for a highly enjoyable read. Firstly, I must confess that I know the author, but this did not affect my review. If I had not liked the book, I simply would not have reviewed it or rated it. Initially, I wasn’t sure that I wanted to buy Songlines, let alone review it. I was worried that I was going to read yet another YA novel involving angels with the usual love triangle thrown in. (Please get me a bucket I’m going to be sick!). Yet, when I heard the author’s tagline for the book I was intrigued: “Cherubim, the Garden of Ed Firstly, I must confess that I know the author, but this did not affect my review. If I had not liked the book, I simply would not have reviewed it or rated it. You know what? It was - I thoroughly enjoyed it. Songlines centres around a teenage girl, Lainie, who lives on a sheep farm with her Aunt Lily and their farmhand Harry – an aboriginal elder. Lainie’s best friend is Noah, a boy she’s known since childhood and who lives on a nearby farm. They are both in their final year of high school in the nearby town of Nalong. Lainie’s nemesis, a boy named Ben, also attends the school and his violent outbursts over the years have earned him the nickname Bane. The book opens with Lainie experiencing a troubling premonition about her aunt confronting mining surveyors on their property. Her prescience and feelings of imminent danger escalate and through them she, Noah and Bane discover that the world around them is far different than they believed and their roles in it are beyond anything they could imagine. What I loved about this book was its characterisations and its setting. It was a delight to read a fantasy novel set in rural Australia and Denman captures what it’s like to be an Aussie kid going to school in a small country town. Having been a farm girl who went to a tiny high school in rural Victoria, these sections resonated very strongly with me and I found myself smiling as I read these passages – they ring true as do the sections depicting life on the farm. The pacing for the novel is steady, but it doesn’t race along and one of the benefits of this is that Denman has time to develop her characters in depth and as such they are easy to relate to. Their motivations, their hopes and their angst are all explored. Though most of this is written in the first person, from Lainie’s POV, there are sections that are written in the third person from other character’s perspective and this works really well. I normally loathe reading first person stories and if I enjoy them then it’s proof of good writing. The “voice” of Lainie is a blend of naivete, farm girl practicality and confused and hurt teen, but it reads as, or rather sounds, uniquely Australian. Denman does this through clever use of the vernacular and colourful metaphors which made me smile a lot. However, this is not done to such an extent that it will prove troublesome for international readers. Beyond the religious aspects of this tale, this is a coming of age story for all the teens involved in it and there other messages about personal freedom, environmental protection, dealing with loss and grief, facing fears, taking responsibility and ultimately embracing destiny despite the costs. The end was satisfying and definitely made me want to see what’s next in Denman’s The Sentinels of Eden series. Songlines is the first book in the Sentinels of Eden series by Carolyn Denman. It was one of the most unique YA fantasy books I’ve read in a while!! It is set in the beautiful Australian countryside, and it’s full of bright, original characters that I just couldn’t get enough of! I must admit that I was skeptical after reading the synopsis, but I was pleasantly surprised, and I ended up rating this book 4.25/5 stars!! Songlines was written by an Australian author and takes place in Australia itse Songlines is the first book in the Sentinels of Eden series by Carolyn Denman. It was one of the most unique YA fantasy books I’ve read in a while!! It is set in the beautiful Australian countryside, and it’s full of bright, original characters that I just couldn’t get enough of! I must admit that I was skeptical after reading the synopsis, but I was pleasantly surprised, and I ended up rating this book 4.25/5 stars!! Songlines was written by an Australian author and takes place in Australia itself, and several of the characters have Aboriginal ancestry. This was very interesting to me, since I live in the US and known next to nothing about Australia. I love that the characters and setting were different from what I usually read, because we need those diverse characters in YA literature! First of all, this story was VERY character-driven. While the last book I reviewed had an epic plot and lots of intense action scenes, this book was much slower and focused more on world-building and character development. Which of course, I LOVED. All these characters grew so much over the story, and the author did an amazing job at portraying them and the relationships they had with each other. They really made the story for me. I mean, I loved the plot and concept and all, but I fell in love with these characters. I was so emotional at the end of the novel for so many reasons because I’d grown so attached to these characters! Lainie and Bane are one of my new favorite literary couples (y'all know i love hate-to-love relationships)!! I’m a Christian, so I’m very familiar with the Garden of Eden and the story of Adam and Eve’s sin. I love how Carolyn Denman took the story of the Garden of Eden and used it to make a very intriguing world and plot. She did not alter the story from the Bible; she just added onto it to create a YA fantasy that has elements of Christianity in it but that can still be enjoyed by readers from any religion. It took me a while to get used to the concept, but once I did, I fell in love with the story! 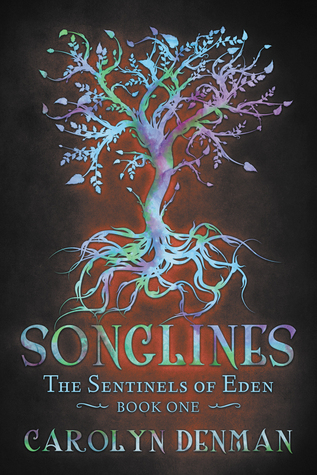 Songlines is the first book in The Sentinels of Eden series written by Carolyn Denman. High school senior, Lainie Gracewood, has a daydream vision of a bulldozer coming straight for her, effortlessly tearing her tree roots from the ground below her. Startled awake by the coach’s whistle, Lainie finds herself back at soccer practice, watching her best friend, Noah Ashbree, trying to break up an altercation between two players. Lainie’s vision had come after Aunt Lily had chained herself to a bull Songlines is the first book in The Sentinels of Eden series written by Carolyn Denman. High school senior, Lainie Gracewood, has a daydream vision of a bulldozer coming straight for her, effortlessly tearing her tree roots from the ground below her. Startled awake by the coach’s whistle, Lainie finds herself back at soccer practice, watching her best friend, Noah Ashbree, trying to break up an altercation between two players. Lainie’s vision had come after Aunt Lily had chained herself to a bulldozer of Kolsom Mining Company, which had been illegally destroying the forest on her land whilst trespassing on private property. As Lainie’s visions continue to get stronger, she wakes each morning with a song holding on to the edge of her subconscious. When one of the local tribal Elders (and custodian to The Garden of Eden, home of the Tree of Life and the Tree of Knowledge), Harry Doolan, discloses to Lainie that she is of Indigenous blood and has a power greater than she could ever possibly imagine, Lainie goes into extensive research mode, only to learn that the local area of Nalong has an interesting history which comes from the Dreamtime. Unsure how she fits into the scheme of things, Lainie not only sets out to investigate her own family history but also her tribal lands and where she truly comes from, while making a few startling discoveries along the way. Carolyn Denman’s powerful tale of the Indigenous peoples of Australia and their role in protecting sacred sites of their ancestors reached into my very core. Legends of the Dreamtime are something I have grown up with as a Blackfella of Gubbi Gubbi Country. Sacred sites and the Dreaming (ie. rock art, tribal markings, the waters which are woven by the Rainbow Serpent, and Tiddalick the Frog) teach not only how the lands were created but also teach humility and of our belonging to Country. Mention of one of Australia’s great authors, May Gibbs, whilst reading the story of Songlines, also gave me a nostalgic smile. It was wonderful to not only read a book which deals with the Dreaming, but also see mentions of such epic titles as Snugglepot and Cuddlepie – an essential book in any Australian home library. Songlines has woven many different genres into one, ensuring that the reader is not only entertained by the modern day teenage storyline, but also educated by history, legend, ritual and faith of Australia’s first peoples. I very much enjoyed Songlines and recommend it to readers who are interested in the true history of Australia, presented with action, adventure, humor, spirituality and a touch of the paranormal. Songlines is a fresh and unusual YA urban fantasy, with a unique supernatural twist: situating Paradise in a remote corner of the Victorian countryside. Songlines begins with Lainie Gracewood finishing off her last weeks of school, unaware that her university plans are about to be derailed. Her mission to protect her aunt’s farm from unscrupulous mining prospectors becomes an exploration of the land’s profound ties to humanity – and the role a close-knit network of farmers plays in safeguarding Songlines is a fresh and unusual YA urban fantasy, with a unique supernatural twist: situating Paradise in a remote corner of the Victorian countryside. Songlines begins with Lainie Gracewood finishing off her last weeks of school, unaware that her university plans are about to be derailed. Her mission to protect her aunt’s farm from unscrupulous mining prospectors becomes an exploration of the land’s profound ties to humanity – and the role a close-knit network of farmers plays in safeguarding this sacred connection. Loved it. It ticked all the boxes for me fantasy and romance. It doesn't matter what age you are it's suitable for all, which is a plus being a teacher. My husband enjoyed it as well, we are really hanging out for book number two. This review has been hidden because it contains spoilers. To view it, click here. In Denman’s breathtaking debut, a teenage girl is torn between humanity and freedom, and love and responsibility. First in this exciting fantasy series, Songlines provides its young adult readers with evocative and soul-stirring concepts on truth, loss, identity, adolescence and the meaning of life. Lainie, a lanky, fun-loving yet mature teen living with her over-protective Aunt on a regional sheep property, soon discovers her real identity as a higher being; a younger generation Cherub in a line In Denman’s breathtaking debut, a teenage girl is torn between humanity and freedom, and love and responsibility. First in this exciting fantasy series, Songlines provides its young adult readers with evocative and soul-stirring concepts on truth, loss, identity, adolescence and the meaning of life. Lainie, a lanky, fun-loving yet mature teen living with her over-protective Aunt on a regional sheep property, soon discovers her real identity as a higher being; a younger generation Cherub in a line of Cherubim sent to Earth as human to protect the sacred Garden of Eden. Her understanding of her Indigenous heritage, her newfound Sentinel powers, and the truth of the disappearance of her mother unravels slowly on account of a mining threat to their land, and Lainie is then forced to navigate her way through complex feelings of adjustment, acceptance and responsibility. There is a definite appeal in this rich and dramatic fictional plot. From the unearthly supernatural powers that Lainie inheritingly possesses, to the dichotomy between the rural Australian farmland and the lustrous, ethereal land hidden within – however both worlds steeped in sacred history and promised to protect. The meaning of ‘Songlines’ weaves neatly into Denman’s tale, combining the Aboriginal tradition of a song or story recording a journey through the landscape, with the biblical roots of her Edenite river of song and the ancient pathway that leads there. Denman also cleverly and tastefully poses thought-provoking questions around obligation versus free will, of the differences between being human and being an Edenite, and whether the tranquility of Paradise is in fact free from life’s tainted intricacies. The story is cast with a set of strong, fascinating characters, whom are all drawn to one another, both in their bid to save and protect the land from intruders, and because it is their natural compulsion to be bound by the force that is Eden. Much of the journey is built with tension surrounding the relationships between Lainie and her best friend, Noah (another Cherub), and the surly and aloof Bane (ultimately her Guardian soul mate). Lainie and Bane’s relationship is an intriguing part of the journey, leading an integral sub-plot of twists, excitement, and a series of heavily mixed emotions surrounding lust, belonging and the freedom of choice. This blend of Australian heart and spiritual soul easily captures a reader’s interest with wonder and illumination. Its major plot twist at the end certainly causes a sense of breathlessness, and even a tinge of sadness that leaves us hanging on tenterhooks to continue the journey in books two and three. Songlines is an enchanting mix of the mythological and the real, in a fantastic contribution to Australian Young Adult fiction. Carolyn Denman refuses to pander to a young target audience, and instead provides them with a rich and developed story that can easily be enjoyed by those of all ages. The novel centers on teen Lainie Greenwood, who’s just about to finish her VCE and take off to the big city. Her plans are interrupted when she has a vision of her aunt facing off against a powerful minin Songlines is an enchanting mix of the mythological and the real, in a fantastic contribution to Australian Young Adult fiction. Carolyn Denman refuses to pander to a young target audience, and instead provides them with a rich and developed story that can easily be enjoyed by those of all ages. The novel centers on teen Lainie Greenwood, who’s just about to finish her VCE and take off to the big city. Her plans are interrupted when she has a vision of her aunt facing off against a powerful mining company. She and her best friend Noah rush home to find that exact scene playing out. And the visions don’t stop there. Haunted by a mysterious song that appears to be coming from the river, Lainie discovers she is part of an ancient bloodline destined to protect the mythical Garden of Eden. One of Denman’s strengths is that every character in Songlines is refreshingly relatable. Although the protagonist initially comes across as the dreaded ‘cool girl’, it doesn’t take long before we see a much more complex character, whose desire to be just one of the crowd can be read as much a flaw as an asset. There are many who would suggest that placing the Garden of Eden in rural Victoria borders on the ludicrous. However this unusual plot device allows Denman to include an intriguing mix of Indigenous Dreaming traditions and religious mythology that piqued my curiosity and manages not to offend either set. The pacing starts off shaky, with a bit too much focus on Lainie’s everyday school life. But once Songlines got going, I was hooked. The reader is eventually carried off with the story, and the story really benefits from occasionally shifting its focus away from the protagonist. I finished up the novel desperate to know what happens next, and cannot wait for the sequel. With enough romance and intrigue to satisfy a cross-section of teenage readers, Songlines hits its target beautifully. When Lainie discovers her family’s secret biblical heritage shortly before graduation, she is understandably shocked. The implications for her country Victorian farm, her friends, and her aunt are many and complex. Yet when she finds herself standing between a mining company and her late parents’ farm, the acceptance of her heritage becomes paramount, despite to consequences to her family, friends, and the unwanted bond with a Guardian. Songlines is ultimately a story of change, mirroring the mov When Lainie discovers her family’s secret biblical heritage shortly before graduation, she is understandably shocked. The implications for her country Victorian farm, her friends, and her aunt are many and complex. Yet when she finds herself standing between a mining company and her late parents’ farm, the acceptance of her heritage becomes paramount, despite to consequences to her family, friends, and the unwanted bond with a Guardian. Songlines is ultimately a story of change, mirroring the move from high school to the ‘real world’ with the discovery of a parallel and perfect world in desperate need of protection. Unexpected roles, friends, and relationships dominate this YA novel, leaving Lainie trying to reconcile her highschool based world view with what she learns of the her heritage, and has to re-evaluate her opinions of her old schoolmates. The result is a supernatural story relating to trying to work out not just Lainies’s own future, but how it affects those around her as well. Songlines presents as a unique story, blending cultural differences and supernatural discovery as a metaphor for change and acceptance of self. While all the standard YA mechanisms for plot progression and reader engagement exist, enabling a familiar feel for ease of reading, the ability to blend modern country Australia with Judeo-Christian mythology creates a distinctive and engaging style of story-telling that is highly enjoyable. If you’re imagining things like Garden of Eden, Tree of Life, Adam and Eve, Cherub and the like, you’re up for Songlines! The book (and the whole series) fall under Clean YA and even without all the swearing, drugs, violence, etc. I loved it! This book proved that YA does not need stuff like those in order to be a great YA read. I’ve studied for years in a Catholic school so the book’s context (kinda religious and historical) were pretty easy to me. It started with Lainie but as I typed that, I think it all started with their family. Lainie is just another graduating girl who is under her aunt’s care. Her mother died a year after her father and their deaths are really questionable. She grew up with her friend, Noah, and with their farmhand whom they call Harry. The things is, Harry revealed everything that Lainie would never believe and by the time she started believing, he’s gone. Without Harry, it’s only Lainie, Noah (who’s freaking smart), Tessa (a shy, strong lady), and Bane (the one I loved the most!). Generations are tasked to protect Eden from human beings. And some human beings are tasked to protect them no matter what. I just want to emphasize that since I loved the whole idea of it! Imagine a person so attached to you that when you’re far from him/her, it’s making that person physically sick? Imagine, that person can also heal you and know where you are without having to see you? Imagine that the person knows if you’re hurt or if you’re better than some of your days? And imagine how you’d feel when that person started loving you but you couldn’t love him/her back cause you feel like that person is actually tasked, forced, AND compelled to love you? You know how complicated it’s getting? Read the book and tell me I’m wrong for loving this idea. Hmm, just had so much feels that I haven’t been having for a long time. I may have spoiled you, but no. I just told you the main reason why I’m amazed by this book! The adorable thing about this book is everything about this book. Plus, the characters are naturally funny! A li’l immature and li’l mature, maybe, but do take note of their age. They’re still blooming and knowing who they are, give them time. The question is: am I interested in its second book? Third book? Fourth book? The answer is: COUNT ME IN! I bought this book because I fell in love with the cover art - yes, on kindle. The story is aimed at young teens and is very predictable. The novel starts out as Lainie Gracewood and her best friend Noah Ashbree are about to finish high school. When a mining company starts exploring near Lainie’s aunt’s sheep station, the Songlines by Carolyn Denman is a YA urban fantasy set on a sheep station in a fictional town in Victoria, Australia. Drawing on the beliefs of a number of religions, including Judeo-Christian and Indigenous traditions, the story revolves around the idea of an Eden that was transported to Australia for protection. Review first published on my blog. Go to https://sonyaspreenbates.wordpress.com for this and other reviews. The idea of guardians protecting the entrance to the Garden of Eden definitely is unique. It's intriguing and I honestly think it's one of the more unique stories I've read. Connected to that, it also has to be said that Carolyn Denman really does as much as she can to stay respectful to the beliefs mentioned in her novel. That alone deserves a little round of applause. His one line phrase was about as helpful as a Chihuahua rounding up cattle. Sometimes it felt like there were way too many details, unnecessary parts and overall just too much information I didn't really need. Although it didn't ruin the story for me, it did make it harder to read on and not feel like it's dragging on and on. I didn't feel the romance in this story. I knew up front what would happen so it's a bit predictable, but apart from that I just couldn't feel that spark we all love feeling. I might be putting it a bit too harsh but I had the idea that the romance wasn't real. It didn't feel authentic. Something that's completely on myself is that I couldn't connect with the characters. The MC, Laini, just isn't my kind of girl. She goes from acting like an adult to being childish and impulsive to trying to be an adult and... It just didn't feel genuine after a while. Why did I always have to make life so much more complicated than it needed to be? Songlines by Carolyn Denman is the first book in the Sentinels of Eden, a young adult paranormal series set in Australia. Lainie views herself just like any normal teenager as she finishes high-school with her best friend, Noah, and helps her aunt at the sheep farm. But when a mining company begins to creep into her family's property tainting the family's water supply, her aunt reveals a family secret she's been holding since the death of Lainie's mother. Lainie is not quite human. Lainie refuses to believe what her aunt and Harry, Aboriginal Elder tell her, especially when her heritage has to do with things like Cherubim and the Garden of Eden. But as time passes and more of her unique abilities come to light, Lainie can no longer deny that something is different about her. Then, Harry, her best link to her past, disappears trying to protect Eden from miners it's up to Lainie to rise to the occasion and learn the true meaning of the secret she must protect. Songlines by Carolyn Denman is the kind of paranormal novel that emulates the best of the genre while add something completely unique and refreshing to it. Well written with engaging characters I really enjoyed following Lainie journey of self discovery and acceptance. Author Carolyn Denman is currently writing the fourth book in the series which is a relief considering how Songlines ended. I'm definitely interested in learning more about Lainie, Bane, and Noah! Songlines written by Carolyn Denman starts with a bang, the reader won’t be certain if this imagery is real, a dream or a fantasy, so just expect the unexpected. The tale is set in a fictional town in the harsh Australian outback, peppered with the usual teenage angst. Lainie and her best friend, Noah, are about to graduate from high school, trying to decide what they will do with their future, not realising their paths may have already being chosen for them. Young adults will love Lainie, she is Songlines written by Carolyn Denman starts with a bang, the reader won’t be certain if this imagery is real, a dream or a fantasy, so just expect the unexpected. The tale is set in a fictional town in the harsh Australian outback, peppered with the usual teenage angst. Lainie and her best friend, Noah, are about to graduate from high school, trying to decide what they will do with their future, not realising their paths may have already being chosen for them. Young adults will love Lainie, she is funny, strong and has a deep sense of loyalty while Noah is easy-going and his humour always touches those around him. What they don’t realise is they are connected together by a strong magical force, only exposed when they realise their cherished, sacred land is in danger of being destroyed by a mining company. Once they spring into action their unique power is revealed and fantasy is blurred with religion and Australian Aboriginal traditions. Songlines is the first book in The Sentinels of Eden series. Young adults should enjoy the journey, discovering if there is really a choice or a chosen path. An interesting, fun read. 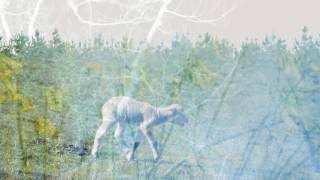 What if the entrance to the Garden of Eden were moved to an Australian sheep farm for safekeeping? Carolyn Denman draws on an intriguing mix of Biblical and Aboriginal mythology as she explores this original premise in Songlines, the first novel in the Sentinels of Eden series. At first, the main characters seem like ordinary small town teens, but it soon becomes apparent that they have some extraordinary quirks and qualities – and I’m not just talking about the superpowers! This book is certainly What if the entrance to the Garden of Eden were moved to an Australian sheep farm for safekeeping? What a great read with a different types of supernatural twist. I loved the characters especially Lainie, she was no wimp. When her life is turned upside down by secrets revealed about her family her and her friends go on a quest to find Eden. There is so much more than meets the eye going on. I loved this story and the characters were so believable. Great YA will be purchasing one for the teens in my life. What a great start for this writer. The scene setting, character introduction and character development were clear and concise. After Lanie learns of her unique talents the pace picks up to a suspenseful and unpredictable finale. It is obviously written for younger teens in mind, but i enjoyed the tale in any case. The concept of this book is rather unique and is the main reason I picked this up, the blend of western fantasy with aboriginal stories sounded fascinating and I desperately needed to read this. It was a slow burn of a novel which isn't always what I am after and in this case, took me a while to get into, but overall I really enjoyed the way the characters are portrayed as smart fully formed humans with skills and capabilities. The premise of the Garden of Eden having been moved to the bush of Australia was definitely interesting, and surprisingly devoid of angels (I don't know why but a deeply dislike angels as characters in novels). I was a bit disappointed that there was less aboriginal content and representation that I had anticipated, but overall a good story. Personal taste wise I really dislike the "destined to be together and no way out" trope when it comes to romances and the one in this novel is no different. I found it difficult to enjoy and believe at times yet it was engaging enough for me to feel the effects of it. Lainie herself was a great character when she wasn't being a heap of YA heroine stereotypes. Again I prefer novels without the stunning character everyone adores who thinks she's hideous and incapable of being loved. Overall is it a spectacular book? No. Will I continue reading the series in anticipation of the fourth book soon to be released? Yes, Yes I will. Songlines has an intriguing premise - the Garden of Eden is hidden in rural Australia and protected by Cherubim, angels who must prevent its discovery. Lainie, the teenager at the centre of the book, discovers she is one of these and can not escape her sacred duty. She is rightly doubtful that any of this is real, until the growing number of supernatural events surrounding her overwhelm her ability to deny it. Her powers grow throughout the book, from having visions through to the ability to con Songlines has an intriguing premise - the Garden of Eden is hidden in rural Australia and protected by Cherubim, angels who must prevent its discovery. Lainie, the teenager at the centre of the book, discovers she is one of these and can not escape her sacred duty. She is rightly doubtful that any of this is real, until the growing number of supernatural events surrounding her overwhelm her ability to deny it. Her powers grow throughout the book, from having visions through to the ability to control storms. As if this were not enough to complicate things, she also discovers that the bane of her life, a student at her school called Ben, also has a sacred duty - to protect her and, that according to tradition and possibly fate, they will inevitably end up together. This is a fascinating aspect of the story as it allows Denman to tackle questions around love, free will and destiny. And just to complicate her emotional journey even further, Lainie discovers that the mother she thought had passed away is well, living in Eden, but may not remember her. It is great to see a fantasy set in the Australian bush, with lovingly depicted landscapes and many Australian-isms throughout. Songlines offers a convincing depiction of Australian teenagers, whilst tackling important questions around belief, climate change and destiny. There are a few minor issues around pace, and unfortunately every time I read the word 'Cherub' (as an abbreviated form of 'Cherubim') I keep picturing fat little winged babies, but aside from these this is an exciting start to what promises to be a fascinating young adult series. A very interesting YA read. A cross between John Marsden and C.S Lewis. Uniquely Australian and like nothing I have ever read before. Well worth checking out.